BDM’s Craft Special is published quarterly featuring 150 pages of high-quality content on a different craft topic each issue. Buy a single copy or subscription to BDM’s Craft Special Series magazine. 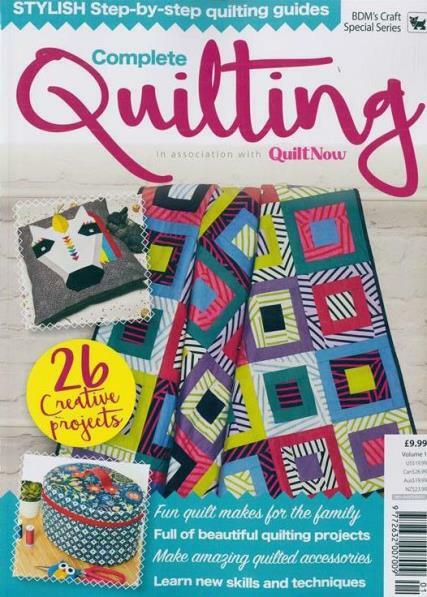 BDM’s Craft Special Series is an extra special magazine featuring a collection of craft projects to enhance your crafting skills and brighten up your home. Learn new techniques and push your skills to the next level with the help of experts. Each issue of BDM’s Craft Special focuses on different crafts produced by respected craft journalists. Explore craft from all your favourite designers, expert tips and tricks, clear illustrations, full size templates and so much more!